Carnival Cruise Line has announced a return to San Diego on the United States west coast with Carnival Miracle starting in late 2019. This will be the first time the cruise line will sail from the port in seven years. The Spirit class cruise ship will offer a range of voyages from 3-day to 15-day out of San Diego. The new program on the west coast will run from December 2019 to February 2020. The program will start off with a 7-day Mexican Riviera voyage on December 1, 2018. With all kinds of offerings with short sailings and longer Carnival Journey sailings, this will be a good choice for cruisers out of San Diego. 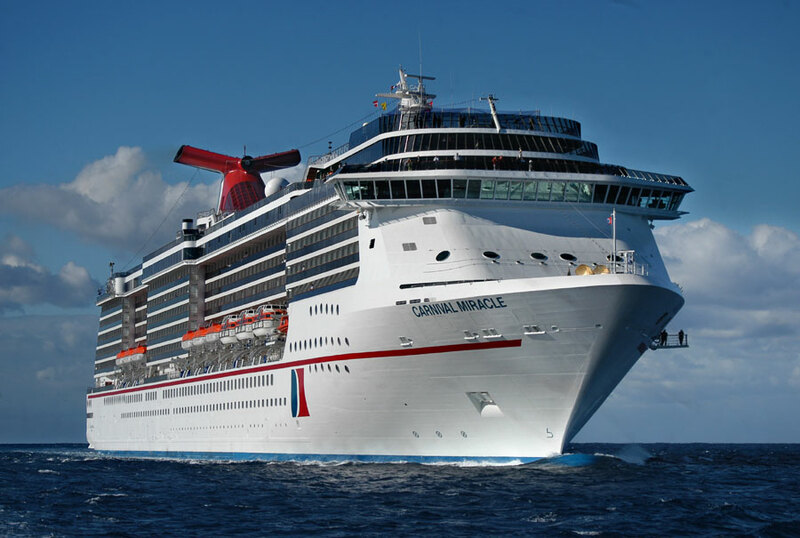 The Carnival Journey cruises will consist of 14-day and 15-day cruise to Hawaii where guests also get to experience long stays and cultural experiences on land and on Carnival Miracle. More highlights include 5-day voyages to Cabo San Lucas and 3-day getaways to Ensenada. Another unforgettable cruise will be the New Years 4-day voyage to Baja, Mexico. To end the San Diego program off Carnival Miracle will sail a repositioning cruise which will transit the Panama Canal which will end in Miami on February 14, 2020. Carnival Cruise Line has been focused on the U.S. west coast recently with a newly renovated cruise terminal at Long Beach and the arrival of the new Carnival Panorama cruise ship out of Long Beach in 2019. Keep an eye on Cruise Hive for all things Carnival and you can also check the best Carnival cruise deals right here.